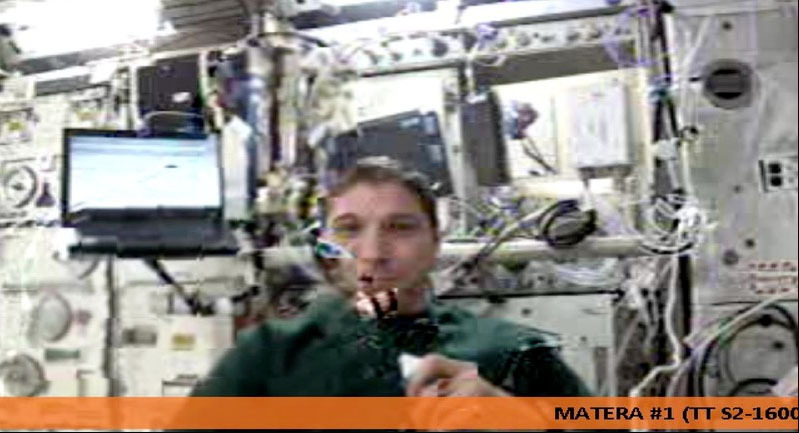 On Saturday, March 8 test transmissions were made on 2422.0 MHz using the HamTV equipment on the International Space Station (ISS). The Digital TV signal was successfully received and web streamed to a global audience via the Britsh Amateur Television Club (BATC) server at http://batc.tv/ch_live.php?ch=4 There were four live web streams each from different receivers. The HamTV transmitter is the culmination of over ten years work by dedicated volunteers to establish an amateur radio TV transmitter on the ISS. It uses patch antennas fixed on the Meteorite Debris Panels (MDP) protecting the hull of the ISS Columbus module. These antennas were installed while the Columbus module was being constructed. A fund-raising campaign took place during 2005-7 to raise over 65,000 Euros for the antennas. Individual radio amateurs from around the world donated generously as did several organisations including AMSAT-UK and the RSGB. 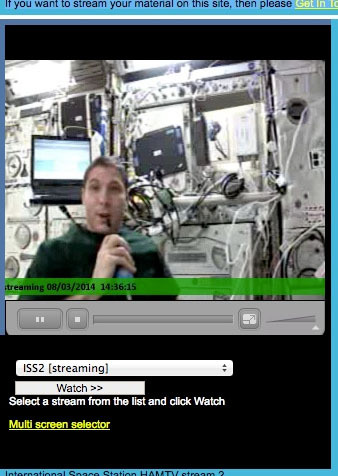 The main mission of HamTV is to perform contacts between the astronauts on the ISS and school students, not only by voice as now, but also by unidirectional video from the ISS to the ground.